If your company has downsized to cut expenses lately, you’re likely facing the need to produce at pre-recession levels—or higher—with fewer people to do the job. You know that you need everyone to pull together now, but how do convince your staff to do it? Your employees know what’s going on in the job market, and most are probably thrilled to still have one. This is certainly not a something to take advantage of, but it can turn into a win-win situation. If your employees are more motivated and loyal, and you’re communicating your expectations clearly while treating everyone fairly, you may find them willing and ready to take on more responsibility. The happy result? You get the help you need, and your employees learn new skills, making them happier, more loyal, and more valuable. How do you delegate without making your staff feel overworked? Present your requests as opportunities for learning new skills or taking on leadership or management roles, not as another entry on an employee’s to do list. Empowering your employees to make decisions will help bring your company through this crucial economic time. Remember to build in a feedback procedure and be sure that every delegated task or project has a concrete timeline, so that everyone feels a sense of accomplishment. 1. 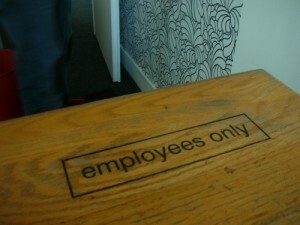 Give your employees a sense of ownership in the project; encourage questions and suggestions. 2. Don’t give out pieces of a task—let the person know the overall goal or purpose of the project so they understand it completely. 3. Don’t just hand over a project and walk away. Interact, ask for feedback, and know for sure that the employee understands exactly what you expect before you turn it over. 4. Help them know when they’re finished: take the time to explain your request thoroughly and paint a picture of what the outcome should look like. 5. Tell your staff at what points you’ll need progress reports or feedback. Let them know they’re on their own, but not all alone. When you’re hiring again, employment background checks will help you attract and retain the best employees to help you through your company’s growth and prosperity. 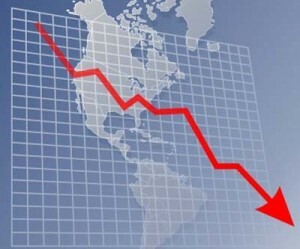 Many small businesses are struggling through the current uncertain, tough economy. Perhaps you’ve had to lay off employees, cut perks and reduce spending, making your remaining staff’s jobs more difficult. Times like these force everyone to step up; you may be seeing a welcome side effect of the downturn in more focused and dedicated employees. Take advantage of this situation and hone your leadership skills. 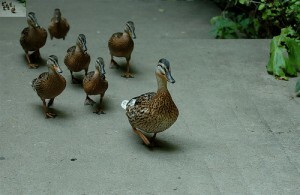 With tough decisions to face and stress to handle, it may seem impossible to be a great leader; but now is not the time to become self-absorbed and forget that your employees still need your guidance. 1. Meet with your staff often. Clear, frequent communication is vitally important. People are smart; they know what’s going on in the world around them; they know what your customers are up to. Be honest about the economic slowdown and stay ahead of the gossip curve before things spiral out of control. Great leaders learn from staff and customers every day. 2. Acknowledge your shared fears. Recognize the real fears and concerns that exist at all levels of business and society. Again, communicate with your employees. Listen to their concerns and put yourself in their place. Just allowing them to vent is often a big help. A leader listens first, and then speaks. 3. Put things in perspective. If your company has weathered tough times before, it will do so again. Let your employees know this: they may have no idea what your company has been through—and no idea how strong it really is. Leaders keep an eye on the past when planning for the future. 4. Invite your employees to participate in finding solutions. Ask for their creativity, and reward them for great ideas. Some companies pay bonuses for cost-cutting suggestions; others hold brainstorming pizza parties to work on strategic planning together. Leaders help their employees feel like part of the solution, not part of the problem. 5. Be an optimist! A negative attitude is viral. Instead, spread the positive. Remind your team about previous wins. Talk about the positive results that came from other difficult times. Focus your staff on ways they can repeat those efforts that once proved successful. Leaders always focus on the positive, and teach others to do the same. Watch your actions; measure your words; remember that your staff is looking to you for guidance through a difficult time. The way you carry yourself—for better or worse—will be long remembered. Do whatever you must to ensure that your staff’s memories of this economic downturn are as positive as possible. When you’re hiring again, pre employment screening checks will help you attract and retain the best employees to help you through your company’s growth and prosperity. The news is full of reports about the economy’s affect on rising crime rates in communities all over the country. Police departments are issuing warnings, and encouraging citizens to increase their security measures at home, in their cars, and when visiting ATMs. In today’s down economy, more people are hurting; and unfortunately, more people turn to stealing. Business owners must be vigilant, too—and not only against external threats like burglaries. Your employees may be stealing more, too. While employee theft is not a new issue, studies show that it increases for employers of all sizes during tough economic times. In fact, 24% of respondents to a study conducted by the Institute for Corporate Productivity reported that internal theft of company-owned items in their workplaces had risen during the current economic crisis. And 18% responded an increase in monetary theft, such as cash or padding expense reports. Whether they’re taking company-owned items like office supplies or food, products they produce, electronic equipment or cash, employees’ illegal activity is a huge problem for employers. Often, it’s highly regarded employees who turn to stealing when the economy is bad. They might be feeling the pressure of an unemployed spouse or partner. Attitudes can suffer when there is more stress at home or when workloads increase, or wages decrease. Layoffs affect even the employees who survive them. Other employees might feel they are underpaid and deserve a little “extra,” or they may see their coworkers stealing and getting away with it. They may feel slighted by declines in perks or benefits. Some might even feel vindictive for friends who have been laid off from the company, so they “get even” by stealing. Whatever the cause, communication remains vitally important, especially during times of crisis. If additional security measures become necessary, address the issue directly with employees. Conduct more frequent audits and require receipts with expense reports. Most importantly, when it’s time to hire again, employment background checks will help you hire honest employees, who are more likely to remain honest—in good and bad economies. Hiring employees is a lot like dating. If you know yourself well, you know exactly what you’re looking for in a partner—and why those blind dates your Aunt Jane sets up are often disastrous. You know when there’s a good fit, even if you can’t quite explain why. It’s like that with companies, too. Every organization has an expected culture—law firms are generally very polished, while garden centers may have a more relaxed feel. High-tech start-ups are high-energy and filled with workaholics; retirement homes are necessarily less stressful. Identifying your company’s culture can go a long way toward recruiting and hiring the best employees. Take a good look around—what do you see? Are people relaxed and smiling, or anxious and stressed out? Is the environment neatly organized with everything in its place—or does it always need tidying up? What do you hear? Is there a certain lingo in the conversations taking place? What type of music is playing? Or, is there no music—ever? Who’s allowed inside? Are there public and private spaces, or is the entire business open to everyone? What about your company’s public face? Is your advertising formal or fun? How do employees communicate—in person or through memos and email? How do they address your customers? How do they address each other, and management? All of these factors make up the invisible, but very real, culture of your company. When recruiting and hiring employees, keep the culture in mind and remember that you cannot force a good fit. Square pegs generally fit best into square holes. If your culture is formal and polished, an applicant wearing a t-shirt and jeans is not likely to work out well. And if your staff is all about fun and funky, a tightly-wound, stressed out type would not make for happy co-workers. Think about the types of people who succeed in your organization—and those who fail. Determine their strengths and limitations, and look for these in potential applicants. Then, think about the core values you want to promote in your company, and make sure you hire with them in mind. If customer service is the basis of your company’s culture, you should only hire applicants who demonstrate high levels of service. A wrong hiring decision can set your company back several steps. If product excellence is most important in your company’s culture, be sure your potential employees are likewise committed to delivering the highest quality product each and every day. Understanding your company culture can make it easier to hire and retain employees—just make sure your Aunt Jane isn’t setting up the interviews!